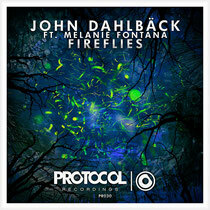 Nicky Romero's label, Protocol Recordings, have recently released John Dahlback's new single, ‘Fireflies’, featuring Melanie Fontana, on Beatport. With his previous releases on the label, Dahlback has quickly become a Protocol regular who strives to deliver only the finest productions. With ‘Fireflies’, John seems to channel the vibes from warm summer nights for his dreamy melodies that carry Melanie Fontana's vocals into the slick, progressive house drop and beyond. Check it out below.